Continuously striving to achieve excellence in our products and in the help and support we give our network of dealers has made us Spain's leading manufacturer of made to measure bathroom enclosures. We are the only national manufacturer which integrates glass decoration technology on site in the plant. The entire process takes place in our facilities, allowing full traceability from start to finish. Why? Because bathroom enclosures are our specialty. Our distribution network has almost 5,000 showrooms across Spain. 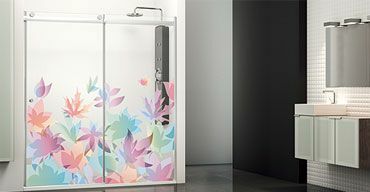 In 2012 we launched our overseas expansion initiative and our bathroom enclosures are now on sale in Portugal, France, UK, Italy, Switzerland, Germany and Russia, among other countries. ALL OUR PRODUCTS, DOWN TO THEIR MINUTEST DETAILS, MEET THE HIGHEST QUALITY STANDARDS. Our products are approved and hold the certification required to give our dealers peace of mind, secure in the knowledge that they are selling the best possible quality product to their customers. At PROFILTEK, reliability is a value which means we abide by the agreements we make with the people and companies we do business with, and this is the foundation of our success as a company. Our customers know they can rely on us, because we demand the highest standards of ourselves in our working practices and demonstrate this on a daily basis. PROFILTEK is a company committed to the society in which we carry out our business. We think it’s important to emphasize that our products are manufactured in Spain, creating employment and wealth in our society. 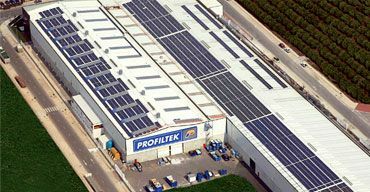 Highly aware of environmental issues, as part of its CSR strategy initiatives PROFILTEK Group has built the largest low-voltage photovoltaic plant in the Community of Valencia on its premises. The Group has invested over 5.5 million euros in this plant, which can generate over 1.5 million Kilowatts per year. With 12 facilities generating 100 Kw each, it can generate enough power to cover the yearly consumption needs of 500 households. This is our significant contribution to combatting climate change. This initiative cuts annual CO2 emissions by 750 tons and enables us to cover company energy consumption growth for the next 30 years. Moreover, as a company we have always been very aware of our surroundings and of persons with some kind of disability. This awareness is reflected in initiatives such as creating enclosures specifically adapted to meet the needs of persons with reduced mobility, and making annual donations to Caritas NGO. PROFILTEK dealers benefit from a comprehensive service, including our own transport network to ensure that goods arrive quickly and in perfect condition. If you are a dealer, visit our Professional Area to find all sorts of information, applications, advertising material and an extensive range of tools created for promoting sales and putting together orders, making your work easier, quicker and with higher returns. Company facilities extend over 22,000 m2. The new plant implements robotic automation of new processes, in addition to having a second glass tempering kiln. And it has the largest roof-mounted photovoltaic installation for solar power generation in the Community of Valencia. Design, technology, talent, creativity - this is what drives our R+D+i department every day in their search to find new solutions that combine aesthetics, functionality and strength. 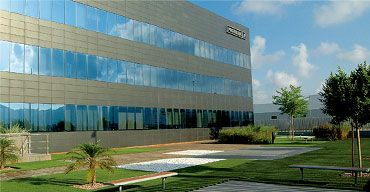 What is today one of the sector's largest tempered glass manufacturing companies in Spain started life in 1989 in Quartell, Valencia, as a family company dedicated to aluminum joinery and manufacturing blinds. 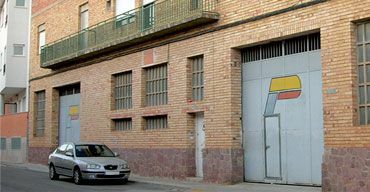 It was not until 1995 that the company began to focus on manufacturing enclosures, edging its way into a sector where both national and multinational companies had been operating for over 20 years in the enclosures area. The firm directed its strategy at offering a highly personalized service, which quickly achieved market acceptance. 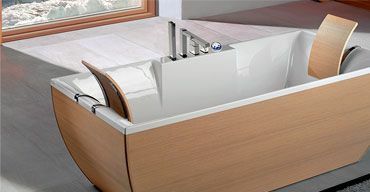 Then in 1998, making the most of sector inertia and its maturity in the sector, it expanded its line of products to include bathtubs and hydromassage panels. Since then, PROFILTEK's track record has been characterized by growth, innovation, design and quality, making the investments required to ensure customer satisfaction with their shower space. 1995First bathroom enclosure. National sales network set up. 1997New 6,000 m2 plant in Quartell. 1998Marketing of shower trays, bathtubs and hydromassage panels. 2001Obtains ISO 9001:2009 certification - Marketing of Teknoclean. 2003Plant expansion to 12,000 m2. 2004Commissioning of first glass tempering kiln. 2005Leading national company in the sector, with a 14% market share. 2006Decoration of glass enclosures using traditional "Fusing" technique. Plant expansion to 18,000 m2. 2007Enclosures obtain EN 14428:2005 international standard certificate. 2008Innovation process obtains UNE 16002:2006 Standard certificate “Agatha Ruiz de la Prada” enclosure collection / Commissioning of second glass tempering kiln / Installation of largest roof-mounted photovoltaic plant in the Community of Valencia. 2009Marketing of glass interior doors. 2011Launch of Imagik. 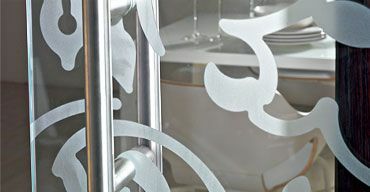 The first project in the world for personalizing glass through technology permitting digital printing direct onto glass. 2013Launch of online applications Virtual Decorator 3.0 and Business Area. 2014We celebrate our 25th anniversary. UNE 166002:2014 Certificate for R+D+I Management. 2015Contract/Project Division empowering and development.